A few months ago, we were asked to comment on the importance of customer centricity in social media. Our view – highly important and it should be the focus! Have a read of some of our responses on how to achieve customer centricity through social media. How can the business generate personalised customer interactions? This will depend on the business and the scale of the business. A company like Coca-Cola is going to struggle to have personal communication – however their name on the bottle campaign was an excellent way to speak to people individually. Cleary there are 100’s of 1000’s of Emma’s out there. But to see my name on the bottle was a thrill and made me want to buy one. There are competitions, highlighting customers through photos and commenting back on their posts and interactions, which can draw customers in to grow the relationship. I am a fan of photo competitions and “comment of the week” “photo of the week” – show you do recognise their loyalty and support. What are the best tools to do so? As per above, I like competitions. I think this is a way for people to engage as there is a reward at the end. Asking customers to share something of their life through a photo, video or post. This is also viral content. What are the common mistakes to avoid? Avoid sending generic emails with “Dear Emma” i.e. entering my name. Clearly it’s a generic email, don’t try and disguise it as personal communication. Be honest when you are speaking to the masses. Also on social media, generic “Thank you for your message” comments. It is time consuming but take the effort to tailor responses to people who are actively trying to connect. What are some of the key insights you have uncovered that businesses should know before embarking on this strategy? Work out what it is you want to learn about your customer or what it is you want to communicate. Go in with a plan and with an end game. Who do you want to reach and why? What do you want them to do as a result of their increased communication? Are they telling their friends about your business? Do you want likes? Do you want them to come to an event? Do you want them to watch a video. Clearly communicate to the audience that you want to take action and let them know what action you want them to take. Can you share an example, a moment of best practise? We ran an Instagram competition, a photo competition. We had a weekly finalist and a monthly winner. We shared other photos that had been posted throughout the week to show that people were entering and to show that we appreciated it. One of the weekly winners posted and shared the photos for weeks on end and the photo got so many comments from friends. We thanked them on Facebook, Instagram and by private message. The genuine communication made them reach out more. We definitely increased the brand awareness through this exercise. Genuine and consistent communication with your fans and customers will help spread the word. One more blog to come on this topic! It really should be said that all social media, at its core, would aim to be customer centric. However, when running a social media campaign, the customer can get lost in the noise. I was asked a little while ago to comment on this trend and the move to customer-centricity. I’ll be sharing my answers over a few blogs. Why does the business need to shift from a product-focused approach to a customer-centric one? My approach to social media is always relationship first. So customer centric is an easy shift with the method and approach I take. It’s about building relationships, creating conversations and engagement. This is such a great customer management tool – to be able to speak one on one to the customer but on a large platform. How can the business use customer insight to improve how the business can get better at delivering to the customer? This is virtually a free survey of your market. You can see what your customers are doing, how they like to interact and communicate. Questions to audiences on social media are so powerful. I use questions such as “ What motivates you to start your day?” What’s your favourite.. “ “What is the best song… food.. etc. when you are feeling low?” You can pose it as a conversational question but actually you are gaining valuable insight into who are your customers. Or be direct? If you could make one change to our product/ service, what would it be? Why is customer centric so important today? Using engaging, creative and conversational content, the relationship can build with customers. I’ve worked with large organisations to implement strategy and we have found it to be successful. I’ve also worked with artists and performers who are doing well with numbers but after working together, with a more conversational customer approach, they have seen the engagement and interaction rise. This is always my focus. People want to feel like they have a connection, that they are being head, not just a generic number amongst your many customers. Two way communication and initiating conversation will build trust with your customer. What is driving this trend and why? The market is becoming crowded with businesses on social media. Customers are now savvy to the marketing tools such as Facebook advertising, links promotions, email subscriptions. Their inboxes are flooded and it’s becoming hard to step out above the noise. They want a personalised/ customised approach. They want to have loyalty products and brands and minimise the mass communication. If you can speak to them, they will listen. More on this topic coming soon! What has Lovelly Communications been up to? Well hello everyone! We thought it was time to check in and let you know what’s been happening over here at Lovelly HQ. This is something we would like to make a regular thing, keeping you updated on all things PR, marketing and social! We are thrilled to be working with Kultured Wellness to promote their first ever e-book! Check it out! Fermented nutrition for wellness and health. Loving working with Emma J Hawkins for her show I am not a Unicorn at Adelaide Fringe this year. Adelaide Fringe 2016 kicked off on the 12th February, coincidentally the same night as her show started! Get on over and see what the festival is all about! The show runs until 21 Feb, 2016. I am not a Unicorn at Adelaide Fringe. 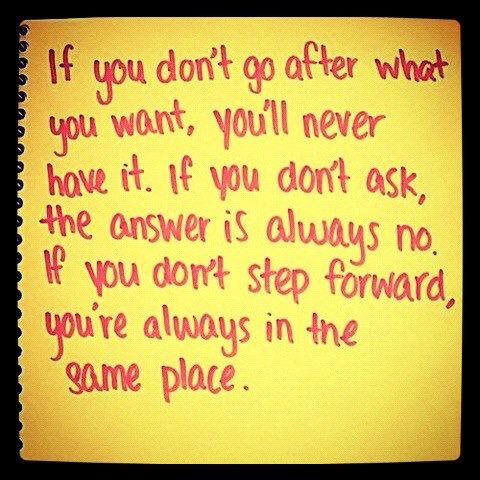 We’ll leave you with our quote of the week for a bit of inspiration! Remember, lukewarm is no good. Follow your passion. Thanks Roald Dahl! Always has the wise words. Thank you for all the love everyone, and remember to connect with us on social media! It’s a new year and it’s the time when we all sit down with a big new notepad and map out how our year is going to be!! Unfortunately, it doesn’t always work out as we planned and this can leave us feeling disillusioned. This should not stop us in this time of excitement! But instead encourage us to do this planning and re-visiting of goals continently throughout the year. We can’t just throw it out to the universe and hope the rest just sorts itself out. Dreams take work! And they can come true! It’s just sometimes we forget how much work goes into them. 2. Write it down – use that notepad. Add colour. Make a vision board. Just get it out of your head and into the world – then you can work towards it. 3. Share your plans with friends or trusted colleagues – speaking your dreams and goals can help you to achieve them. Again, make them a reality by having a real life sounding board. Perhaps ask this friend to keep you accountable too. 4. Be realistic – this one is for me! You cannot write 5 blogs a day everyday day Emma! Aim for a goal you can achieve, if you review it and can build on it later in the year, great! But don’t make take too many leaps before you’ve taken the first step. 5. Take the first step – whatever it is, signing up for a course, training for a climb, building a new website – just start!! It’s the hardest part but it will be a big weight off your shoulders. We wish you all the very best in achieving your goals, dreams and making those plans a reality in 2016! I’ve been running my own business now for six years this month and it’s been an incredible journey. At times though, it’s HARD. It’s really hard. I want others to know that and for other business owners to be able to share too. There are some incredible perks to being your own boss. You pick the clients, you choose the hours, you choose where you work and all the money you make… it goes to you. However, the clients don’t always work out well. There are times where you have incredibly difficult decisions to face and it all comes back to you. Mistakes lead to lessons learned and make you stronger, but during the time, it’s tough. The money is all yours. Yes! This is a perk. But if you don’t work, you don’t get paid. There’s no annual leave, there’s no sick leave and there’s no one to cover you. Of course you can take on sub contractors but there needs to be enough work. It instills in you a great work ethic, but it also makes it hard to switch off when you don’t have as much work on or you do actually take a break. I’ve been blessed to have a lot of mentors, family and friends to support me over the time. The people around me are my best advertisements, always recommending me for work opportunities and helping introduce me to clients. They also are there to listen when I’m going through a rough patch. They even jump on board and sub-contract with me when I have too much on. It’s important sometimes to acknowledge what you’ve been through, what you’re going through and share with like-minded people. Have a back-up – This means having a savings account with a good back of funds in case of loss of clients or times of injury. This also applies to having other staff or contractors to call on. It can also mean having an option of part time or casual work if things really dry up. Take a break – Rest!! That email can wait. You can work normal people hours. You can take time out for you. 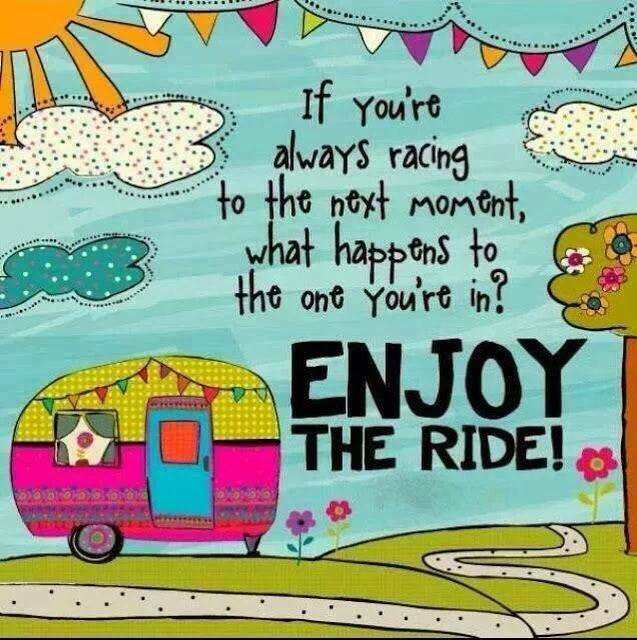 You MUST take time out for you! Ask for help – Get yourself a mentor, have someone that you can call in tough times or when you face an issue that you can turn to. If you’re struggling, share the workload. Do work that serves you – If you are working for money, you will never be happy. Work on projects, with clients and in organizations that drive you. If you take a job just because or do a job for less than you are worth, you will never be happy, you won’t do a good job and in the long term, it won’t be good for you. Follow your passion! Sometimes it’s hard, but I am so grateful and thankful for the experience of running my own business. I look forward to seeing Lovelly Communications grow and develop in the future. 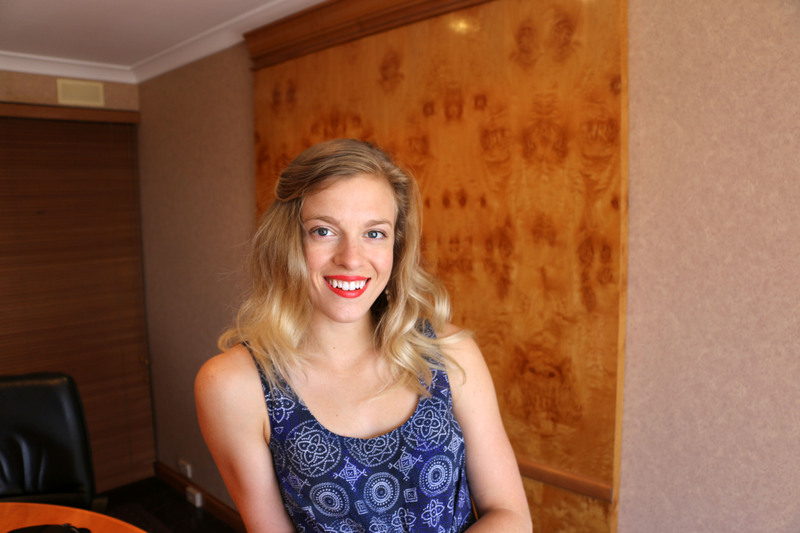 Introducing the wonderful Amy Darcy, owner and writer at the blog Eat, Pray, Workout. Amy and I met through the #WVABloggers program with World Vision Australia. 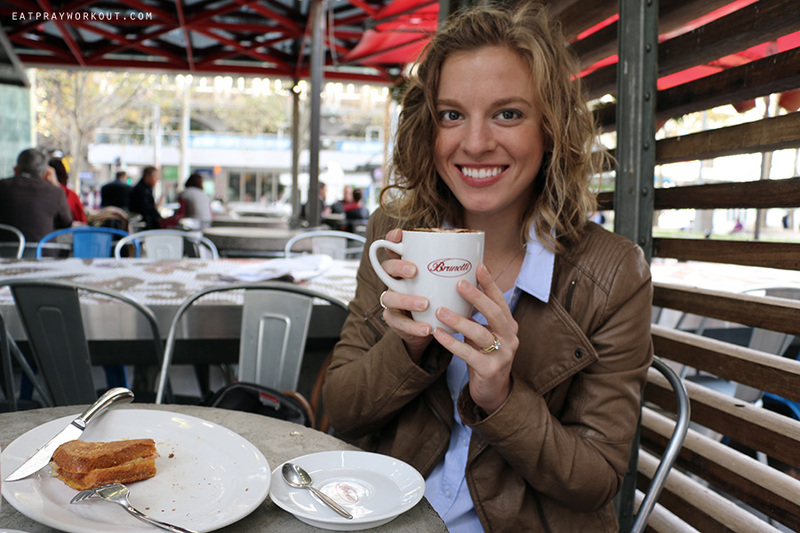 Amy is a passionate blogger, keen to share her tips and tricks to a healthier, happier you! I’m enjoying following Amy’s journey and picking up some great bits of info along the way. 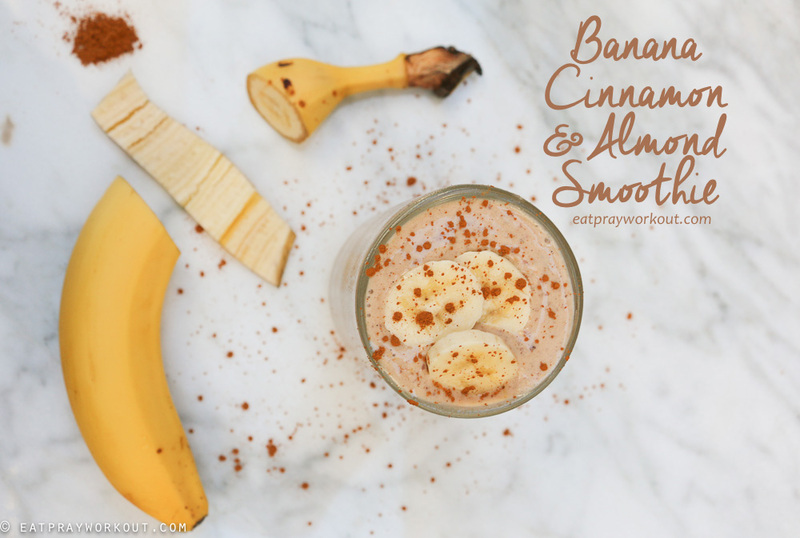 Through Eat Pray Workout I aim to inspire and encourage people to live a balanced lifestyle filled with friends, fun, nourishing food and fitness. These topics are interweaved with my honest daily encounters; with the goal of seeking blessings in every situation. I’m an Australian lawyer, socialite, traveller, Jesus lover, army wife, gym junkie wanna-be and healthy cook. 7. Why did you start your business? It started as quite a personal blog, almost a journal updating friends and family who lived in Sydney (if you want a laugh, I dare you to scroll through and read my first few posts – shocking and compare them with more recent ones!). You see I married in January 2012 and moved from Sydney to Brisbane. At the time I was studying like crazy at uni, gym obsessed and working at a law firm. I really had no other hobbies and it was beginning to wear me down. I realised I had no hobbies that weren’t ‘work’ when we were home for Christmas in 2012 and I had nothing to do whilst my husband and his brothers played Nintendo (it’s a brother only thing apparently, haha). From there I watched many tutorials and set up my blog. I soon fell in love with the creativity it was allowing me to express through my writing, cooking and photography. It has continued to grow and I have big plans for the future. Right now thought, it is an online hub for people to relax, be inspired and realise that healthy living isn’t that hard, in fact it can be fun! My passion is encouraging others to be the best that they can in a stress and pressure free manner. I’m also a Christian, so I am pretty passionate about learning from God’s guidance and occasionally these themes or life lessons will flow through on the blog. It has been excellent to engage with others over lifestyles, perspectives and how to best love and look after one another. 9. 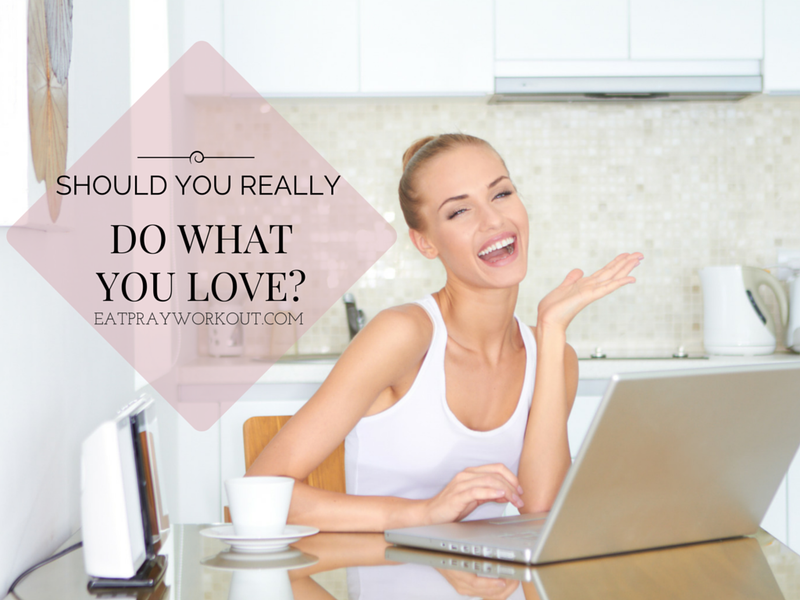 What do you love most about running your business? Getting emails or comments from readers sharing their own life stories or questions with me. What a privilege! 10. What are three difficulties you face in running your business? Money – so far my small income hardly pays for the changes I need to my site let alone to create products and services for my readers. Uncertainty – do I really want to be a full time blogger or should I continue with law? Comparison – so many other blogs are bigger than mine, will my blog make a difference? 11. What are three pieces of advice you would give to someone starting their own business? Have a biz buddy – one to bounce ideas around with. Make sure they are honest if you are an optimist like me, you may need to be brought down to earth occasionally. 12. How do you manage a work/life balance? I’m still working on this especially as working on the blog full time is a particularly new thing and my list of things to do is a mile long. However, I am working towards set working hours and only checking social media at certain times – particularly avoiding it when with family so they can have the focus they need. 13. 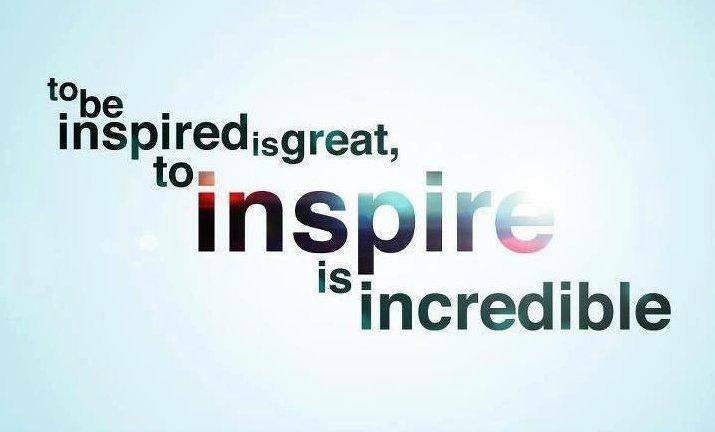 What movie most inspires you in running your business? Legally Blonde was my inspiration for becoming a lawyer and I think Elle Wood’s general optimistic, fun and determined character is still inspiring. Ok, lets be honest, I have been so busy with study at uni the last 6.5 years, moving, getting married, running a blog, attending church and it’s events and looking after a dog that I find it hard to just sit still to watch a movie…it’s bad but I kind of see it as a waste of time…so I really don’t know many because I rarely watch them! 14. The best book to read before starting a business or when running a business? Not sure, haven’t read any about it! Unfortunately law and work killed the joy of reading for me and I felt guilty if I wasn’t reading a text book. I’m more of an all in and discover along the way kind of girl anyway. 15. Your favourite inspiration/ motivation/ business quote? Stress is like a rocking chair, it gives you something to do but gets you nowhere. 16. The 4 words that best describe your business? Social media is a part of marketing in today’s business climate. It just is. Whether you want to get on board or not, it’s happening. But how can we make the most of it? Emma Lovell, Director of Lovelly Communications, has been sharing her insight into the world of social media via monthly articles with Social Biz Magazine. How responsive are you on social media? I don’t believe what I did was spectacular. I know the result of my fundraising will be incredible and make a huge impact to the work of World Vision Australia in Nepal, by changing the lives of women and children. But I simply made a plan for my social media campaign and followed a strategy. The long and short of this post is that social media is not hard to use. It’s about applying practices, strategies and having a method to the madness. When there is a plan and a reason for social media, there can be results. If you don’t tell people that you have a social media account, that you have a Facebook page, they’re not going to know. If there are no links on your website or a listing of what your twitter handle is, how would someone know they could write to you there? Why shameless self-promotion is acceptable on social media! So remember, promote yourself, tell your audience everything you’re doing and let them join in the party! But also take the time to listen to them, hear their praise, criticism or thoughts! Build the connection and you will build your audience. Go on, indulge in a little shameless self-promotion this month! Social Media is such a reactive and responsive media. We have always talked about two-way conversations as being the optimum means of communication with an audience. PR aims to do it, email and direct marketing gave us some insight into this, but social media is leading the way. You can reach out to your audience via various social media channels and receive and instant response. Likewise, a customer can tell you, in real-time, when they are in a café or purchasing your product. What an incredible opportunity to understand your market and meet their needs. To read more from Emma on Social Media, make sure to check in regularly on Lovelly Communications and subscribe to Social Biz Magazine. My 5 favourite life lessons I’d like to pass on to you. 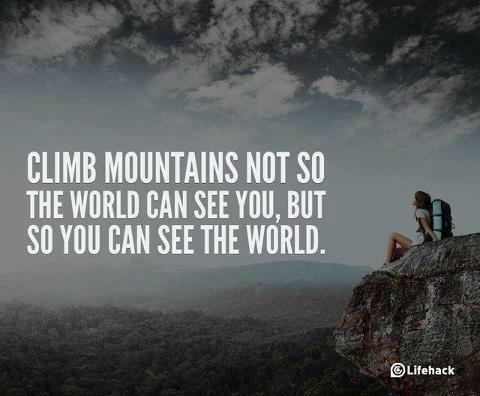 No this isn’t business advice, it’s more reminders for a nice way to look at the world. You need to learn to accept change and move with it. 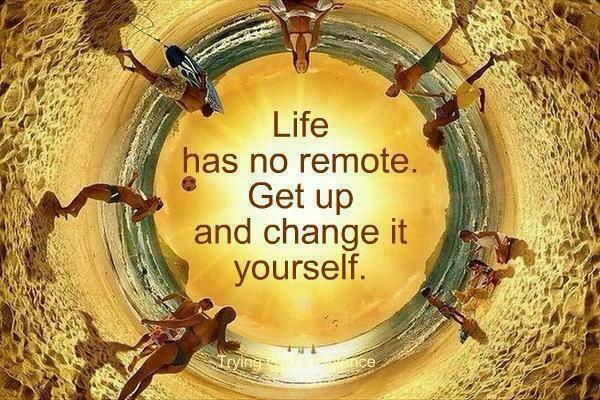 Change is always happening and will always happen, your ability to ADAPT is what is key! Live each day as if it were your last! Recently I lost a friend to a heart attack. He was 24. It shook me to my core. He lived his life with passion – he climbed Kilimanjaro and Machu Picchu (actually with me) and he made the most of life. Do what you love and just live. Don’t ever ask for normal. You know on a heart monitor what happens when the line is straight and flat… you’re dead! 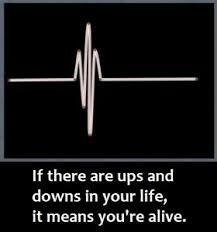 So go with the highs and lows- this means you are living! Start to look more short term. Take each day as a lesson – mistakes you learn from and opportunities are there for taking. It’s all about learning. Don’t let it overwhelm or consume you – then you won’t enjoy. You don’t need a lot of money! Please don’t think I’m rich. Well actually, I am Rich! I’m rich in memories, in friendships, in the blessings that life has given me. $$ come and go – it’s the memories we make and the moments we share that make it all worthwhile. Try not to take yourself or life too seriously! Share with us here your life lessons. For the next 6 weeks, Director Emma Lovell, has taken some much needed R & R after a busy year at Lovelly Communications. Holidays are good to rest and refresh but also a great chance to clear the head for new business ideas and direction. 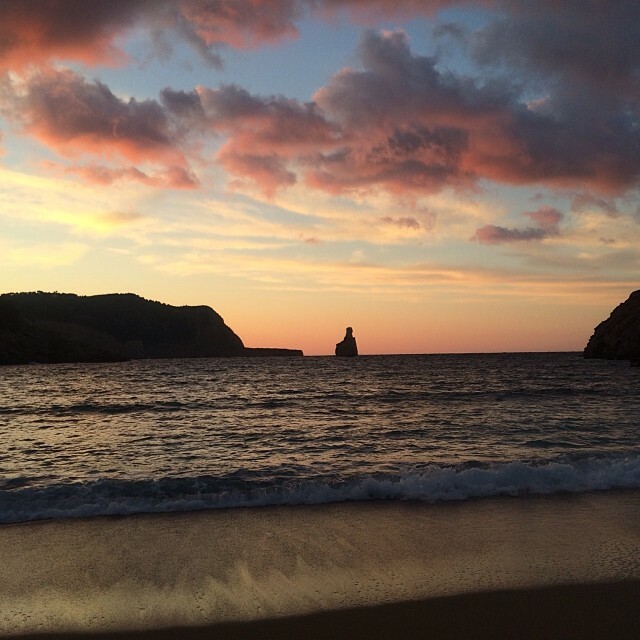 Sitting on beaches in Ibiza and walking through the cobbled streets of Eivissa town, Emma has already started forging ideas and paths for the coming year. Reflections of what worked over the past 12 months and what could have been done better. What industries we want to move into and how the business can grow. Another important thing about taking this time out has been the chance to have a perusal reflection of how working in the business not on the business can affect the direction. Did we take on too much work? Do we need a larger team? Will more down time mean more productive work time? When was the last time you took some time out to work ON the business?